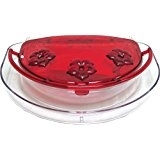 This dish style hummingbird feeder is top shelf dishwasher safe, making it a breeze to clean. 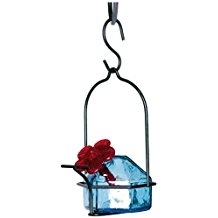 Fill with our Hummingbird Nectar and hang it up! The Hummingbirds will be attracted to its bright red color and with absolutely NO yellow, it's harder for the bees to find! Fill the center resevoir with reguler tap water and you'll trap the ants as well. This feeder is backed with a lifetime guarantee. This dish style nectar feeder features a removable ant-moat, 3 feeding ports, and a perch so your hummingbirds can hang out for a bit! The poly is durable and comes with a lifetime guarantee. Just clean the perfect spot on your window, attach the mount using the suction cups provided, and enjoy the birds! 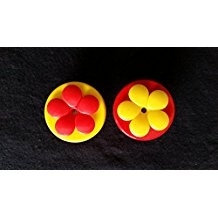 These are both fumctional and pretty to look at. Just pull the red flower out of the feeder to fill and clean. 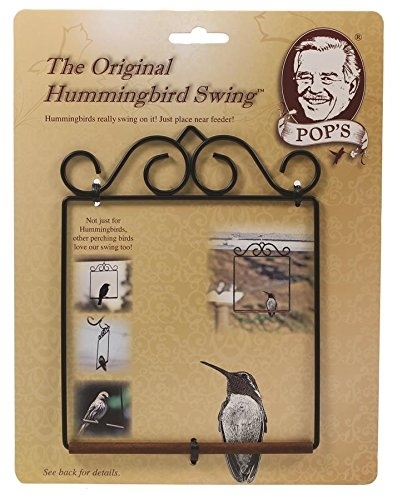 Hang in your favorite spot and watch the Hummingbirds! 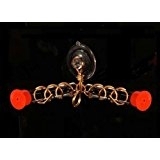 These are a HOT new item! 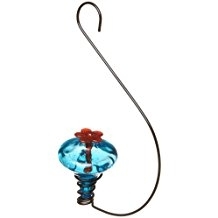 These hand-held hummingbird feeders are about the size of a quarter. 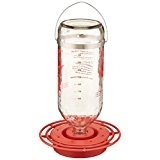 Fill it up with fresh nectar, set it out close to one of your other hummingbird feeders and wait until you see a hummer eat from it. Once you have seen them use it (that's how they figure out what it is) you can hold it in your hand and they'll come to you! Fun for everyone! We have a variety of colors. 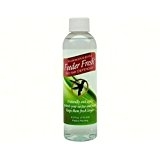 This is one of my favorite products. No longer do I have to boil the nectar and keep a pitcher in my fridge. Just mix 3 parts water with 1 part concentrate and stir. I can make just enough to fill my feeders and I don't have to worry about if it's fresh. With the Nectar Defender™ added right into the concentrate the fresh nectar will stay fresh longer than the generic brands. No chemicals. No dye. If you make your own nectar this is a must have. 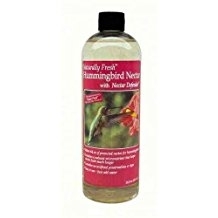 This is an all-natural product that protects the freshness of hummingbird nectar and stops spoilage. 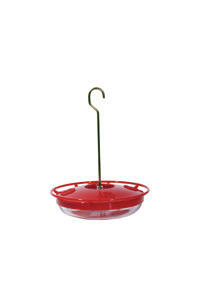 It is bird-safe, and works using a micronutrient naturally consumed by hummingbirds in their diet of nectar and insects. 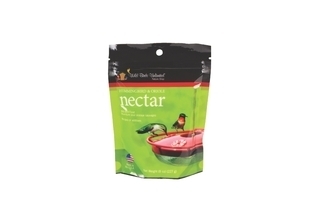 Nectar Defender™ will protect your nectar for weeks, and hummingbirds will enjoy fresh nectar every time they visit your feeder. Simply add a small amount to your current nectar. One bottle lasts an entire season. Contains no artificial preservatives or dyes. You may think it's silly (I sure did) but you will NOT be disappointed. Hang this little swing in the perfect place so you can view it from your favorite summer spot. The hummingbirds love to perch close to their favorite feeder to chase away any other hummers that may try to visit. This makes the perfect perch.